After months and weeks of speculation wherein Real Madrid were linked to a wide assortment of talented shot-stoppers, the most notable being Chelsea’s Thibaut Courtois and Manchester United’s David De Gea, the Spanish giants have finally unveiled their new goalkeeper. 19-year-old Ukrainian international Andriy Lunin was signed on by the club from FC Zorya Luhansk on a 6-year-long deal, and was unveiled on Monday when he penned his contract. 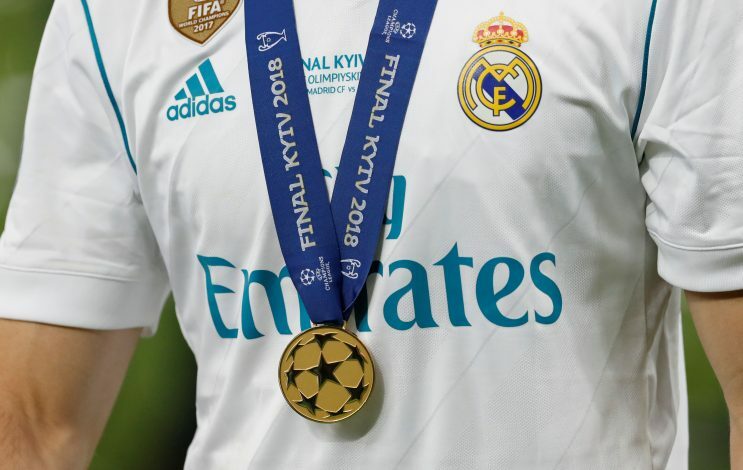 Club president Florentino Perez had this to say about the signing during the press-conference: “Little by little, we are laying the new foundations of the present and the future. He added: “I chose Real Madrid because winning is the most important element of sport and like any other sporting professional, I want to win and keep winning. Right now I’m training with the team and I’m very happy. Madrid are still linked with signing Courtois, and it will be interesting to see how the arrival of the Ukrainian teenager will affect their potential plans. It appears that the European Champions are eager to build on a squad that has seen quite a few surprises over the past months, from the resignation of Zidane to the sale of Ronaldo. Do bigger deals await?